New Jersey Gov. Chris Christie is entering his final year in office. Change is coming in 2017 in New Jersey state government. Republican Gov. Chris Christie enters the last year of his second term; Democrats and Republicans will pick their parties' standard-bearers to succeed him; and voters will decide the next governor in November. The state's money bail system is going away, and residents will face a ballot question on how best to use settlement cash from natural resources cases. 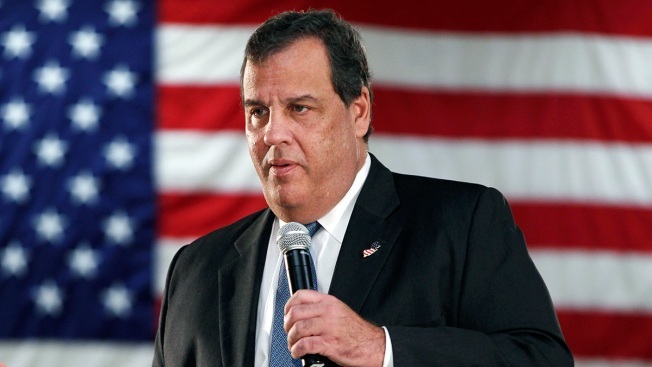 Voters will pick Christie's successor in November, with Democrats and Republicans choosing their nominees in the June 6 primary. Experts forecast 2017 will be a good year for Democrats since Christie's approval is at record lows in New Jersey and because the party holds a registration advantage. Democrats seeking the state's top post include former Goldman Sachs executive Phil Murphy, who has already won key support from unions and county party bosses, and Assemblyman John Wisniewski, who co-chaired the legislative panel investigating the 2013 George Washington Bridge lane closure scandal. Republican Assemblyman Jack Ciattarelli is also competing in his party's primary. Republican Lt. Gov. Kim Guadagno and actor-comedian Joe Piscopo are expected to decide soon after the new year whether they'll be running. Christie will deliver his final State of the State address and propose his last budget as chief executive early in the year. Christie has already signaled that he plans to make fighting the stigma of addiction and redistributing school aid as priorities. But he also could face headwinds if state revenues dip below forecast levels, as they did in 2014 when he had to scramble to cut costs, angering unions and Democrats. New factors weighing on the budget include an increased gasoline tax, as well as cuts to the sales and estate taxes, the effects of which are not entirely clear. The sales tax drops from 7 percent to 6.875 percent on Jan. 1 as part of that deal brokered earlier this year, and the estate tax exemption climbs from $675,000 to $2 million. The gasoline tax went up 23 cents a gallon this fall. It's also unclear to what extent, if any, Christie would play in Republican President-elect Donald Trump's administration, though Christie has said he plans to finish his term, which ends in January 2018. A major overhaul of New Jersey's bail system goes into effect in the new year. Voters approved an amendment that eliminated New Jersey's constitutional right to bail, which had meant defendants were released from jail on bail unless they couldn't come up with the money. Now, courts will rate defendants to determine security risks and in most cases rely on pretrial release. Supporters say the change will mean minor offenders can return to work while they await trial, creating a fairer system for many. Under the previous system, offenders were entitled to bail by the constitution and could go free if they had the money, while others would remain behind bars before trial if they couldn't come up with the cash. County governments opposed the change, arguing that they'll have to spend $1 million to $2 million to implement it, something they say would require more staffing. They argue the change will burden local taxpayers who are already paying among the highest property taxes in the country. Voters in 2017 will get to weigh in on whether damages from natural resources lawsuits should go only toward environmental cleanups. The question will be on the ballot after the issue gained traction this year when the Christie administration settled a lawsuit with ExxonMobil for $225 million. That case went back more than a decade and involved petroleum plants in Bayonne and Linden, as well as gas stations across the state. Voters will be asked whether they want to use all the money from natural resources damages to "repair, restore, replace or preserve" the state's natural resources. Lawmakers and supporters of the legislation say the amendment would create a constitutional dedication for the funds that would prevent future governors and lawmakers from using damages. Voters will also pick all 80 members of the Democrat-led Assembly and 40 members of the Democrat-controlled Senate. Democrats picked up four new seats in the 2015 election when only the Assembly was up for re-election. Each of the state's 40 legislative districts picks one senator and two Assembly members.